One of the biggest and most famous sites in New York State is Niagara Falls, which is truly stunning. Its beauty and power never cease to take my breath away. It draws millions of visitors each year, but did you know that there are SO many other cool things to see and do close by? I’m sharing a “must-see” list with you here, including two award-winning and nationally ranked parks. All of these sites are within two hours or less of Niagara Falls, and definitely worth the trip! We’ve traveled to many of these places with young children, and most of them are perfect for families of all ages. The whole area is an awesome destination spot, so if you’re headed this way, here are the Top 10 Places to Visit Near Niagara Falls! As a side note, some of these places are right over the border into Canada. Make sure you check all the border requirements before traveling, to make sure you have what you need–i.e. passports, birth certificates, etc. Let’s talk about Niagara Falls first! It’s not the tallest waterfall in the world, but it is the most powerful. The word “awesome” doesn’t even come close to describing its beauty and intensity. There is both a Canadian side and American side, and both provide different viewpoints and experiences. On both sides, there are places to view the falls, take lots of pictures, and soak in the sights. If you want to get a little more adventurous, there are a couple of options. Taking a ride on the Maid of the Mist is probably one of our family’s favorite things. You get up close and personal to the falls, and I think it’s worth doing at least once! It is seriously cool to have that viewpoint, and to both hear and see the thundering of the falls as they crash into the water. You do wear ponchos, but you may still get a little wet. Plan accordingly! Cave of the Winds is another option to get a little closer to the falls, but just a warning, you WILL get get. You get to climb up right next to the water, and it is definitely an adventure! I don’t recommend it for small children–the stairs are wet and slippery, and carrying them made me nervous as well. There are several stopping places as you climb, but no matter where you stop, the price is the same. I didn’t think it was worth the cost for my little ones who were too small or too nervous to climb to the top. On the Canadian side you have both the Skylon Tower and the Niagara Skywheel, which provide spectacular views of the entire falls. They also have the Hornblower, which is the Canadian version of Maid of the Mist. While you’re in the Niagara area, a visit to the Silo Restaurant in Lewiston is a must! It has fabulous food, yummy ice cream, and an unbeatable view, since it literally sits right on the Niagara River. There’s also a boardwalk, porch swings that overlook the river, and plenty of room for kids to run and play. We LOVE it there! Whirlpool State Park is located just a few miles north of the falls on the American side, along the Niagara River, and it has two different levels. The Upper Gorge Rim has spectacular views of the river and rapids, and many scenic overlooks. You can also take the stone steps (more than 400 of them!) down to the lower rim, and hike along the river. You can not get in the water, but the trails are gorgeous. Devil’s Hole State Park is right next to Whirlpool State Park, and some of the trails are connected, leading from one to the other. There are some of the best hiking trails in New York here! Some of the trails are kid-friendly, and others are not, but there is plenty of information available to help you figure that out. Our kids did just fine with all the steps (five of them were aged nine and under), and we carried the baby in a backpack. We only hiked about a mile in and a mile back, which was plenty for them, but we had a great time! (Here is more info on the trails.) Devil’s Hole Cave is also a cool thing to check out. Niagara-on-the-Lake is a darling little town located in southern Ontario (Canada), right where the Niagara River meets Lake Ontario. It’s only about 34 minutes from the border (Niagara Falls is right on the border of the US and Canada). 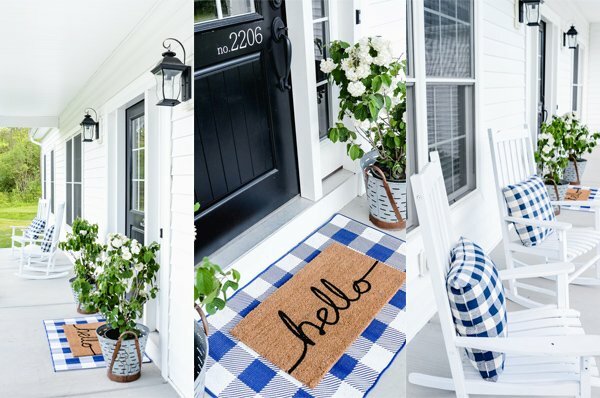 Little shops, yummy restaurants, and an ambiance that can’t be beat are waiting for you. It’s also home to the Shaw Festival, a well-known summer theatre festival. While you’re there, make sure you get COWS Ice Cream (from Prince Edward Island)! Presque Isle is one of our family’s most favorite places, and we go as often as we can throughout the summer. It’s actually located in Erie, PA, but only a little over 2 hours drive from Niagara Falls. Totally worth it! USA Today rated it the #1 Freshwater Beach in US, and we absolutely agree. It’s a seashore along Lake Erie, with several different beaches. There are lifeguards on duty, and as a side note, no flotation devices are allowed. That was a surprise for us, because we’ve lived on the Great Lakes for a long time, and we’ve never come across that before. You can have paddle boards, etc., though. The beaches and water are clean, and it’s just beautiful there! You can also rent canoes, kayaks, bikes, and surreys, plus there’s fishing, and you can tour the lighthouse. While you’re there, you have to eat at Sara’s!! It’s right at the entrance to all the Presque Isle beaches, and it’s a must. Burgers, fries, sandwiches, ice cream…you’ll find all that and more. The food is super yummy, with large portions and reasonable prices. We always, always stop, and look forward to it. USA Today rated it the Best State Park 2015, and I know why. The whole park is truly stunning, and it has the nickname “Grand Canyon of the East”. Wide canyons, thundering waterfalls, tree-covered hills and gorges–it is a must -see. There are many trails and scenic overlooks, plus playground and picnic areas. You can go for a few hours, or spend an entire day–whatever you have time for. It’s a little over and hour and a half from Niagara Falls. Ellicottville has some of the best skiing and tubing in the area. The summer also holds really fun things, like a summer music festival and an outdoor expo, plus hiking, fishing, adventuring, golfing, and so much more. It’s just a cute, cute town with shopping, food, and fun! If you want to check out the Erie Canal, Lockport is a great place to do it! The Erie Canal was hand dug in the 1800’s, connecting the Hudson River and Niagara River. There are 53 locks across the canal’s 363 miles, to overcome the 571 foot difference in the level between the two rivers. The Lockport Cave & Underground Boat Ride is an experience that will tell you about the history of the locks, explore the underground cave with its ruins and artifacts, and walk through a 1600 foot water power tunnel blasted out of solid rock. It’s about a 30 minute drive from Niagara Falls. Olcott Beach Carousel Park is on the south shore of Lake Ontario, and just about forty minutes from Niagara Falls. It’s a vintage amusement park that features a 1928 style carousel, a band organ, and kiddie rides that are all only 25 cents each! It’s nestled under the oldest lighthouse in Olcott, and also a cute little boardwalk with fun shops, and an unbeatable view. FYI: Most of the rides are for small children, but everyone can ride the carousel. The drive is gorgeous through this area–rolling hills, vineyards, and country roads. FYI: It’s not too far from Lockport! The city of Buffalo is just thirty minutes from Niagara Falls, and chock full of fun things to do and see! Canalside: Enjoy paddle boats, pedal boats, yummy food, free movies, free lawn and table games, kayaks, water bikes, free QR code tours, concerts, shopping, yummy restaurants, soaking up sunsets, light shows, roller skating (and free ice skating in the winter)… and SO much more! Delaware Park is one of the oldest parks in Buffalo, with over 300 acres of forest, meadow, and lake. It boasts playground, picnic areas, rose garden, Shakespeare performances, events throughout the summer. The Buffalo Zoo has the distinguished honor of being the third oldest zoo in the United States (established 1825). It’s a 23.5 acre urban zoo (near Delaware Park), and has exotic, endangered, and even local wildlife. The Buffalo Naval and Military Park is on the shore of Lake Erie, and home to several decommissioned US naval vessels including a cruiser, destroyer, and submarine. There are also other smaller vessels and artifacts on display, and many other events and demonstrations through the summer months. Shea’s Performing Arts Center: If you love the theatre, then don’t forget to check out Shea’s! It’s a historic theatre that provides a wide variety of live performances, including dance, music, and Broadway shows. Coca Cola Field: Like baseball? Come watch the Buffalo Bisons play! Taste of Buffalo: Buffalo Food Fest: If you’re in Buffalo in mid-July, and get a chance to go to the Buffalo Food Fest, it’s worth going! It’s the largest two-day food festival in the US, with over 50 restaurants in attendance. It’s SO yummy–one of the best weekends of the summer! 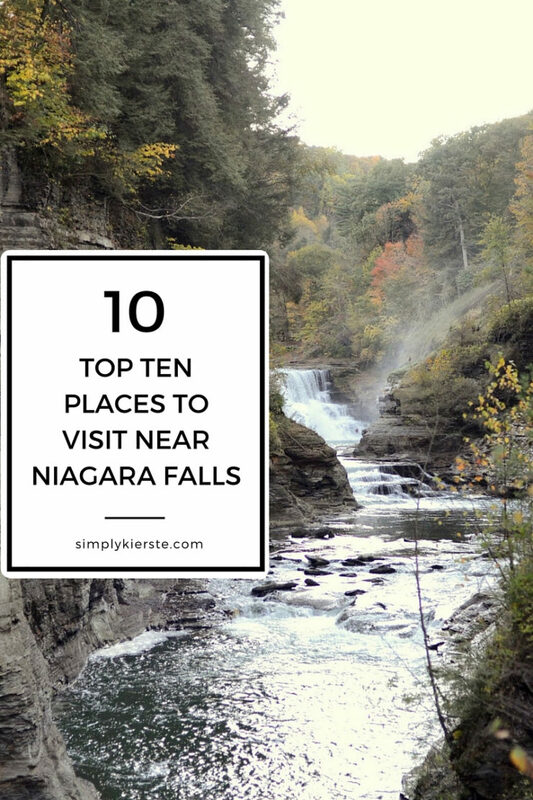 As you can see, there are some really amazing places to visit near Niagara Falls, and I hope you add a couple to your list! Happy traveling! Niagara on the Lake is one of my favorite places to go. I live in Ontario but I’m still about 8 hours away. I’m jealous how close you are. Great list ! My wife and I are visiting WNY and my son Mark who is a citizen, has taken us to several places you have listed and I was enchanted by WNY ! Nothing like NY ! We have a few days left to visit The old Niagara Fort and places in it’s vicinity but we will do our best to see these places. I would recommend taking a ride on the Train from Arcade ( close to Letchworth State Park). You and the kids would love it ! We did! It has been my best holiday ever and I am grateful to America for this privilege ! Your knowledge of WNY is astounding ! I love NY as much as you do !